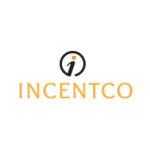 Palm Beach Gardens, FL, June 28, 2017	(Newswire.com) - INCENTCO has launched an innovative rewards platform that eliminates reliance on physical gift cards for resident rewards. Targeted at student housing owners/operators and the conventional multi-family industry, this innovative platform enables owner/managers to issue rewards from a branded, cloud-based platform. Rewards are issued to residents online via their branded home page and can be redeemed instantly for whatever they want at the nation’s top online and big box retailers. Owner/managers can access reward and redemption data in real time via a dashboard along with a host of other performance-based reports. The INCENTCO platform offers a brand-ready experience for both program administrators and residents in a gamified user environment. Rewards are issued online in points or dollars and can be automated for bulk or individual rewarding, virtually eliminating additional labor associated with physical gift card program management. “Resident engagement is key in our platform which is not the case with gift cards. Typically while waiting for the gift card to arrive in the mail, residents forget why they got it in the first place or worse yet, call their manager to find out where it is. Our approach eliminates this scenario as residents are rewarded instantly and redeem their awards at any retailer, just like a typical consumer transaction. Residents love it,” says Wiatrowski. Programs can be implemented in 30 days and can scale anywhere from one property to large portfolios. For more information on INCENTCO real estate solutions, visit incentcoliving.com, or to speak with an executive from the company, please contact Bob Romine at 630-208-1020, or at rromine@rcromine.com. 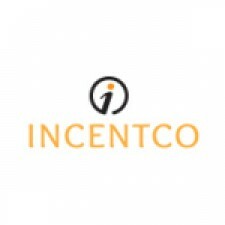 To learn more about INCENTCO™, please visit our corporate site at incentco.com.